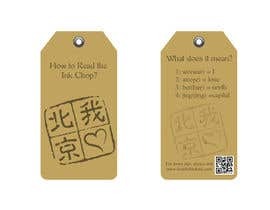 We have a double-sided hang tag for clothing that needs to be finished to look professional. The basic design is attached below. You are free to change the layout and fonts as you see fit. 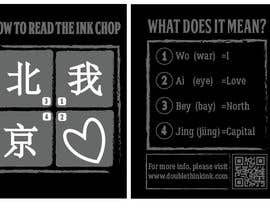 The hang tag will be used to show how to read the Chinese characters and their definitions. 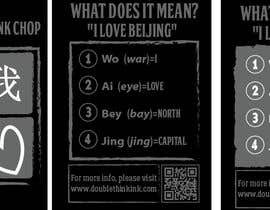 The first is the order, the second is the pinyin, the third is the phonetic pronunciation of the pinyin, the fourth is the English definition. Everything can be changed as you wish. 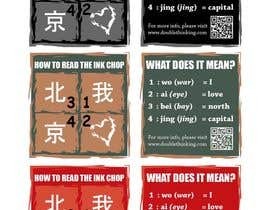 can you provide the chienees words please? Is it okay that, the first and the seconde file is the same as the the third and the fourth?